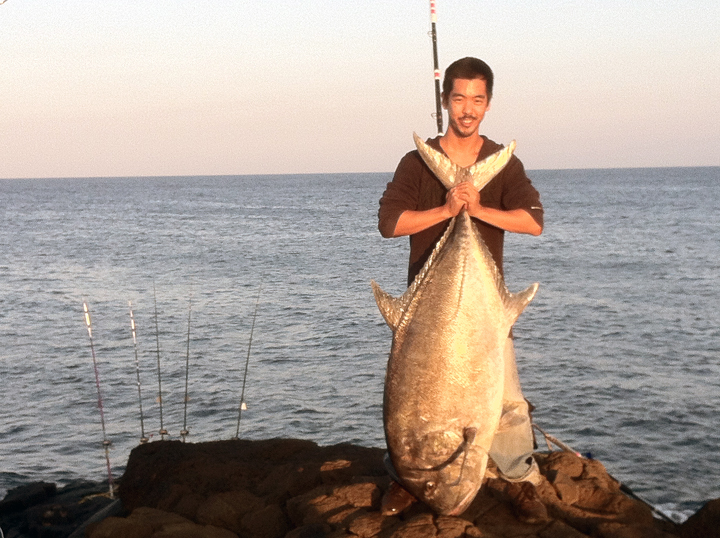 Domonick Uchima's 12-foot Talon pole slammed down and his 454 Newell reel screamed out 80-lb test Big Game line when he hooked his 100-lb ulua. The fish took all of Domonick's Big Game line and a lot of the PowerPro backing before Domonick was able to turn it. Eventually, the big fish hung up in a cave or ledge and Domonick could only sit and wait while hoping the fish worked the line loose. An hour later, it did!